A “Wee Cracker”. born on 24th July. Caitlin’s arrived …. she’s a sensation! While visiting my new Granddaughter, (she’s a “wee cracker” of 2 weeks old), earlier this week, I paid a short 2 hour visit to the Edinburgh Fringe Festival. Great atmosphere, superb acts and some real “odd” characters ……. just what I like. I hope to return later this week for a longer visit, along with my “better” half, to capture more images, enjoy some lunch accompanied by a nice bottle of wine and bathe in the atmosphere of the worlds largest arts festival. I can’t wait. Here are a few images from my visit. As in previous years, Fringe Mania once again gripped Edinburgh at the beginning of August. So far, many thousands of festival “junkies” from near and far, have flocked to the Scottish Capital, perhaps to witness the spectacular street performers in the Royal Mile, to see one or more of the 2,000 shows being performed in many of the different venues in the city, or just to “bathe” in the unique atmosphere of the largest performing arts festival in the world. I hope you enjoy the small sample of some of my images below. A Spectacular Vintage Festival was the main theme, last week, at Glasgow’s Merchant City!! 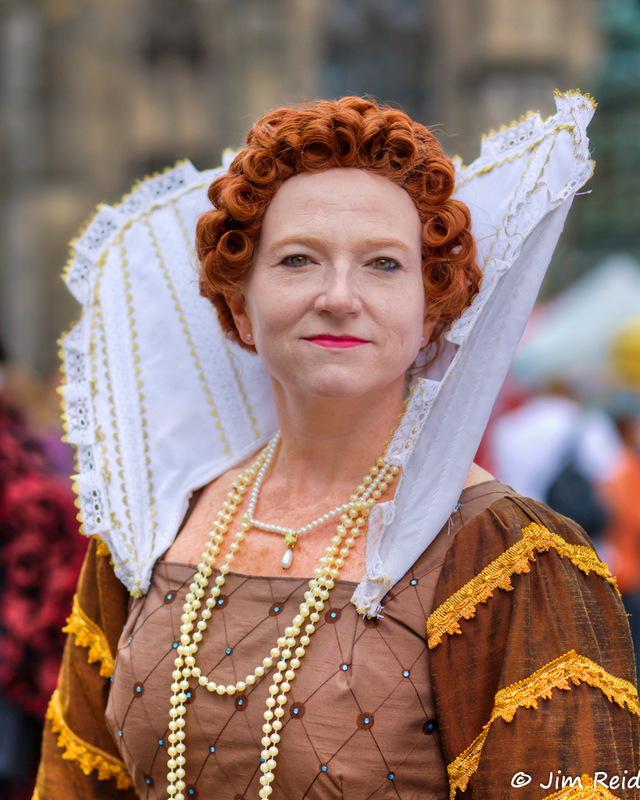 Thousands of “retro” fans descended on Glasgow to take part in one of the cities main events of the summer, many dressed in costumes from the 1910s to the 1980s. The revellers enjoyed a feast of vintage styles covering 7 decades. Vintage entertainment, fashion, makeovers, shopping and food markets were the main attractions during the day; and in the evenings Glasgow partied at vintage nightclubs, to the sounds of Rock and Roll, Soul Music and the Big Band Sounds of the 1930s, 40s and 50s. We visited the festival on Saturday, where we met some “groovy” characters in “retro” style costume. There were many interesting people, including a couple I spoke with, Claire and Paul, from Wrexham, who were dressed in 30s/40s style; a great couple that would travel almost anywhere to experience the early to mid 20th century “retro scene”. It was great to meet the two of them!! While at the festival, we took the opportunity to have lunch at “Arisaig”, in Merchant Square, where we enjoyed the home-made fish cakes starter followed by a superb king prawn risotto, all “washed down” with a nice bottle of Sauvignon Blanc. Below are a few of the images I captured before lunch and the bottle of wine. From York, on my previous post, we travelled on to the picturesque fishing town of Whitby, on Yorkshire’s east coast, at the mouth of the river Esk. What a beautiful town, well known for it’s black Jade jewellery, favoured by Queen Victoria and its association with Captain James Cook the famous British explorer. We stayed about 5 hours in Whitby and while my “better half” visited the local shops, I spent time capturing a few images. We also took the time to enjoy a superb pub lunch of fresh fish and chips. A great day out! This famous historic walled city, with its odd-looking medieval buildings in the “Shambles” to the majestic historic attractions of York Minster, has much to offer both the “casual” tourist, photographer and the historian. The city was founded in Roman times circa 71AD and grew as a wool trading centre. In the 19th Century, York was a world-famous centre for confectionary, with Rowntrees and Terrys the main suppliers. As a “chocoholic”, I was fortunate to visit both factories, on company business, in the mid 1980s and was fascinated by the manufacturing processes and the history. You can’t visit Durham and not visit the nearby Beamish Museum. This “living museum” is a superb example of urban and rural life that existed in the early 20th century in N.E England. We had previously visited some 15 – 20 years ago, when our children were young and it was great to return, a few weeks ago, and remind ourselves how amazing the Beamish is. We were only there for a day and really did not get a chance to see all of the exhibits, but we will most definitely return in the near future. Below are a few images, including some of the interiors of the houses in the old Victorian town. 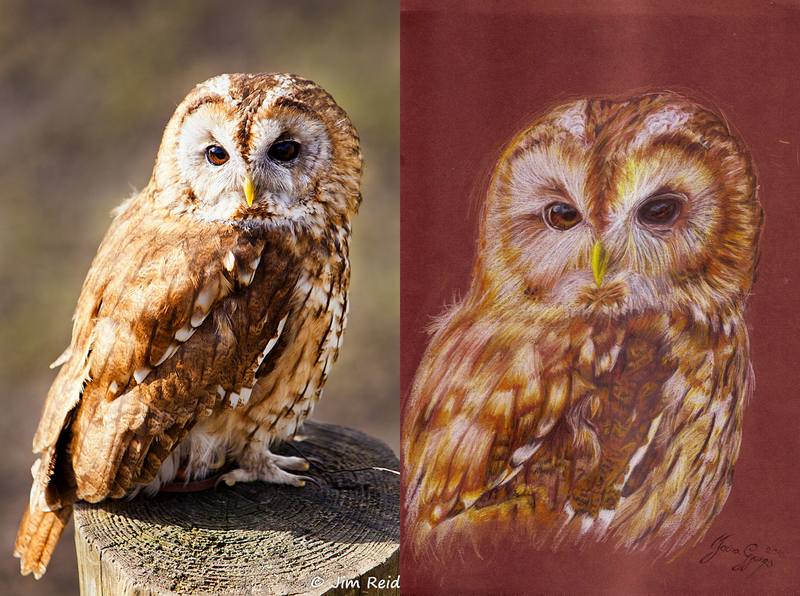 I was given one of the highest complements on my “Tawny Owl” image the other day, by a fellow blogger from Hungary, Moira Gyenes. Using my image, Moira has managed to capture the very essence of the image in her drawing, by emphasising the details, the piercing eyes and augmenting the soft feathery textures of the raptors plumage. As you can see from the image below, I think you will agree that her drawing is superb! ……. I am honoured!